Today is Remembrance Sunday, the day we remember those who have given their lives to protect our country and our freedom. 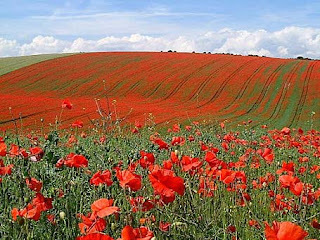 It is right and proper that we should remember them. But what about our UNarmed forces, the men of the Merchant Navy, for example, shouldn't we remember them too? Yet they rarely get a mention. My dad was in the Merchant Navy. He joined because he was too young to go into the Royal Navy. He was just shy of his 16th birthday in the last years of the war but he wanted to do his part. The UK needed one million tonnes a week of imported goods in order to continue to fight and for the survival of its population, most of it coming from North America. It was the men of the Merchant Navy, mostly in unarmed ships, whose job it was to keep the supply lines open in the face of continuous U Boat and air attacks from Germany and naval attacks from Italy. They were supported by the Royal Navy and the Royal and Canadian Air Forces. It was the longest running military campaign in World War II, reaching its peak between 1942 and 1945. In the early years of the war, merchant ships were being sunk faster than shipyards could turn them out. My dad was on the convoys. His ship was sunk by a German U Boat, something I only found out a couple of years ago. He still prefers not to talk about the horror of it. The chances of rescue for merchant seamen was slim When a ship was lost, less than half of the men were likely to survive. Before the advent of the small rescue ships which accompanied the convoys in later years - when they were available - merchant seamen who survived the initial torpedos and the burning oil in the sea and managed to get to a lifeboat were often just abandoned because it was simply too dangerous to stop and rescue them. They then faced a slow, horrible death from exposure and starvation. Even if they were lucky enough to have a rescue ship accompanying the convoy, the fact that it had to stop dead in the water to pick them up meant it was a sitting target for the U Boats and the Luftwaffe. My dad was, thankfully, one of the lucky ones. 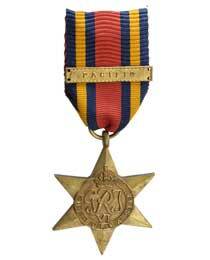 He also saw action in the Pacific and Burma and was awarded the Atlantic, Burma and Pacific Stars. By the end of the war 3,500 merchant vessels had been sunk on the Atlantic Convoys alone, compared to 175 Royal Navy ships. The total loss of life in the Merchant Navy during World War II was over 50,000. Winston Churchill later said "The Battle of the Atlantic was the dominating factor all through the war. Never for one moment could we forget that everything happening elsewhere, on land, at sea or in the air depended ultimately on its outcome". Without the brave civilian sailors of the Merchant Navy, the war might have ended differently. And it was after the war that they realised that their civilian status meant that even though they had faced the same risks as their military counterparts they would be treated very differently. Priority for university places and apprenticeships went to the men and women who had served in the military. My dad longed to study medicine but there were no places available for him as he wasn't considered, despite his medals, to have been 'under command' in the war. The insult continued with the Remembrance Day service at the Cenotaph. The men of the Merchant Navy were not invited to attend, nor allowed to join the march past. My dad watched it religiously on television and every year he commented on the lack of representation of the Merchant Navy. In 1999, after years of lobbying, they were finally allowed to take part, almost 60 years to the day after the first Merchant vessel, the Athenia, was lost in World War II. So on Remembrance Sunday, with all the talk of remembering our 'armed forces', just for a moment remember the unarmed forces who played such a vital part in the war. Such a moving post, Wylie Girl. Thanks you. It was a scandal that the achievements and suffering of the Merchant Navy went unrecognised for so long. I first read Nicholas Monsarrat's masterpiece The Cruel Sea over 40 years ago and have never forgotten its portrayal of the Battle of the Atlantic and the work of the convoys. My granddad, were he alive, would agree with your sentiments. He served in the navy during WWII and escorted a lot of the convoys. He certainly never differentiated between the navy and the merchant navy in any way and wanted everyone to be remembered and represented. Perpetua, The Cruel Sea has sat on the bookshelf at my parents house for as long as I can remember but I've never actually read it. It's probably time that I did. I knew so little of my dad's time in the Merchant Navy during the war, he talked more of what happened in the few years afterwards, the shelling of the refugee ships in Haifa harbour by the Navy and things like that. He was only slightly older than The Boy is now and it's a sobering thought that while his life is full of parties, rugby and girlfriends, his grandfather was being torpedoed by the Germans. Wylye Girl, if you want to know what it was like for your father, read it. It's primarily about the naval escorts, but the conditions were the same for both. Monsarrat was in the navy during the war and really knew what he was writing about. Steve, likewise my dad. He had enormous respect for all the sailors who took part in the Atlantic Convoys, regardless of whose flag they flew under and whether they were military or civilian. I had no idea about the Merchant Navy not being recognised; thank goodness that's been changed, albeit very late. I did know a bit about the role of Merchant Navy in the war through my uncle who ran away to sea when he was 14 and joined them. His ship was also attacked by the Germans and he was a POW for many years. My father always thought it a scandal that they were not recognised formally...without those convoys Britain would have starved. Fly, a Merchant Seaman commented that, had the Merchant Navy taken as long to respond to the country's call to help them, as the country took to respond to their request for recognition, we might be living in a very different world.